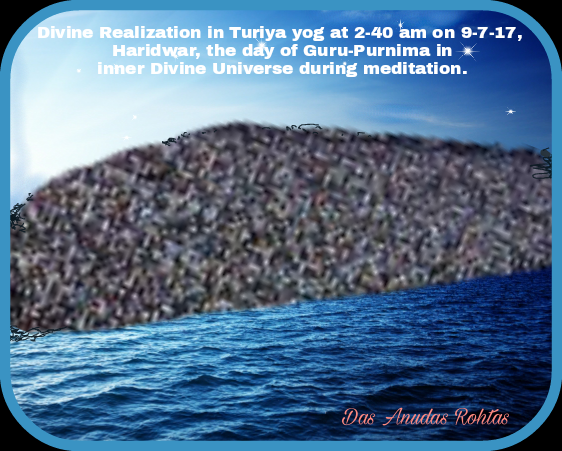 Avtari Purush Rohtas: " अन्तर्मुखी होते हुए दिव्य ब्रह्मांड में दिव्य लीला दर्शन "
" अन्तर्मुखी होते हुए दिव्य ब्रह्मांड में दिव्य लीला दर्शन "
" परम कृपा और व्यक्तिगत अनुभव के आधार पर दिव्य लीला दर्शन "
Observation during meditation at 1-12 am, on 22-6-17 giving below in image. 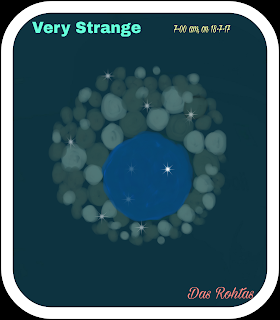 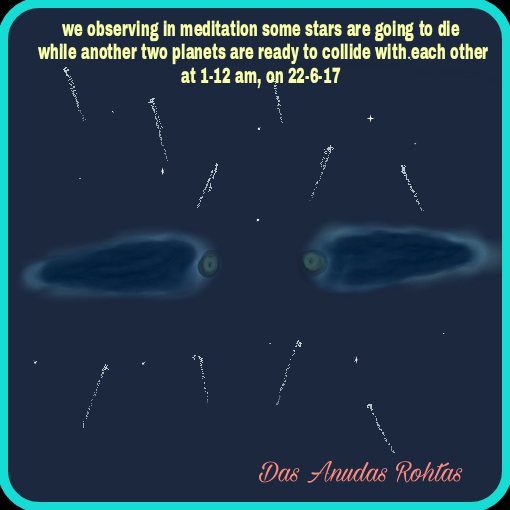 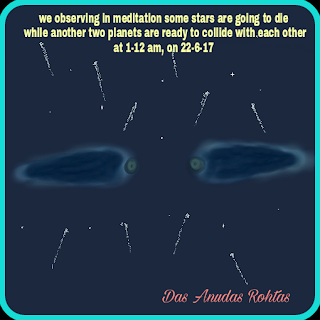 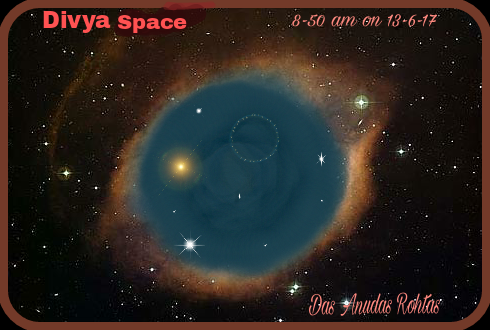 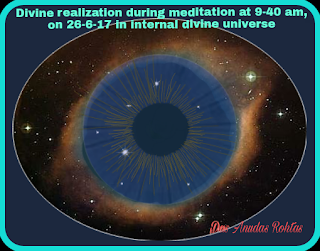 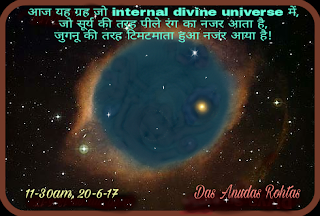 We are observing a divine Hole in meditation under Stars Loks at 9-40 am on 26-6-17 in this image giving below. 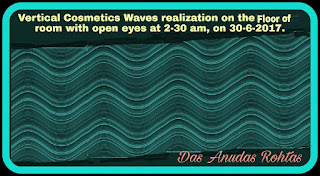 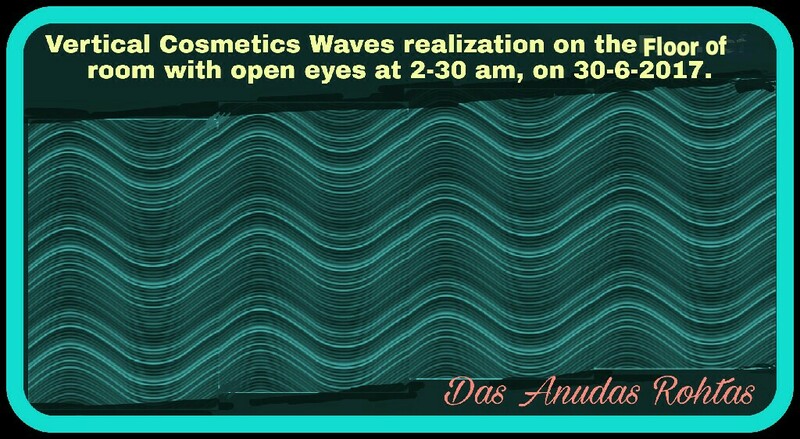 We Realized Cosmetic Vertical Waves many time in many Shapes also with open Eyes in our Bedroom divinely.